The draft was first adopted by vote on April 12, 2016, in the Executive Board’s Programme and External Relations (PX) Commission (see voting results below). This text was then ratified without a vote by the Executive Board’s plenary on April 15th. Membership in the two bodies is the same. The text was submitted by Algeria, Egypt, Lebanon, Morocco, Oman, Sudan and Qatar. Who voted for the resolution? 33 countries voted in favor: Algeria, Argentina, Bangladesh, Brazil, Chad, China, Dominican Republic, Egypt, France, Guinea, India, Iran, Lebanon, Malaysia, Mauritius, Morocco, Mexico, Mozambique, Nicaragua, Nigeria, Oman, Pakistan, Qatar, Russia, Senegal, Slovenia, Sudan, South Africa, Spain, Sri Lanka, Sweden, Togo, Viet Nam. 6 voted against: U.S., UK, Germany, the Netherlands, Estonia, Lithuania. 17 abstained: Albania, Cameroon, Côte d’Ivoire, El Salvador, Greece, Haiti, Italy, Japan, Kenya, Nepal, Paraguay, South Korea, Saint Kitts and Nevis, Serbia, Trinidad and Tobago, Uganda, Ukraine. The decision expresses “deep regret” at Israel’s reluctance to “comply with 185 EX/Decision 15” and remove The Tomb of the Patriarchs and the Tomb of Rachel, both of great significance in Judaism, from Israel’s national heritage list. The resolution chastises “the Occupying Power” for “planting Jewish fake graves” (I.B.1.14) in Muslim cemeteries. Although the decision stopped short of an initial attempt to repeat October 2015’s efforts to declare the Western Wall part of the Al-Aqsa mosque, it acknowledges the significance of the holy sites only to Islam. Why are the claims problematic? Contrary to what is said in UNESCO’s decision, Israel guarantees its citizens’ freedom of religion. The Bahá’í faith, whose adherents suffer persecution in many parts of the world (notably in Iran), has its headquarters in Haifa. This is in stark contrast to the situation in neighboring countries. In Lebanon, for example, blasphemy is still punishable by a year’s prison sentence. In fact, criticism of restrictions on freedom of religion in Israel has focused on curtailments to the religious freedom of Jews — in particular, the interdiction against Jewish worship at the Temple Mount, prayer at which is reserved exclusively for Muslims. 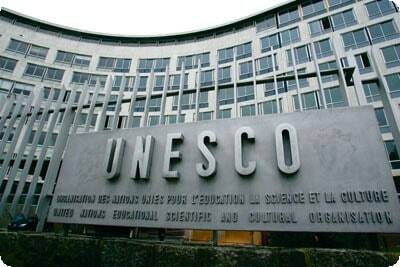 This is not the first time that UNESCO has courted controversy over its inaccurate rendering of the history of Jerusalem’s holy monuments. But the decision’s distortion of the facts is regrettable not simply for its inaccuracy — more insidiously, it lends an initial plausibility to what are unwarranted criticisms while its bilious tone makes for a hateful and deeply politicized text. It is especially puzzling that France voted for a resolution which seeks to expurgate the Temple’s historic connection to Judaism when one considers that all over France, including in the Louvre in Paris, hang depictions of Les marchands chassés du Temple (Jesus driving the merchants from the Temple), in which Christ is shown expelling traders from the confines of the Temple. In a wild conspiracy charge, the resolution chastises “the Occupying Power” for “planting Jewish fake graves” in Muslim cemeteries. The only apparent source for this claim is the Al-Aqsa Foundation for Endowment and Heritage, and some Arab-language social media conspiracy posts. Israeli Prime Minister Netanyahu reprimanded French President Francois Hollande for his country’s support of the resolution, citing it as a stumbling block to Israel endorsing a French-led international conference on the Israeli-Palestinian dispute. French Interior Minister Bernard Cazeneuve also criticized Paris’s vote in favor of the resolution, telling an event organized by CRIF, the umbrella group of French Jewish communities, that he does “not take a supportive view of the text.” The resolution “should not have been adopted,” Cazeneuve said at the event in Paris, adding that the resolution passed “was not written as it should have been,” the Le Figaro daily reported. President Hollande indicated that he will be “vigilant” in ensuring that the next text on the subject, expected in October, will be unequivocal in its affirmation of the shared significance of the holy sites.